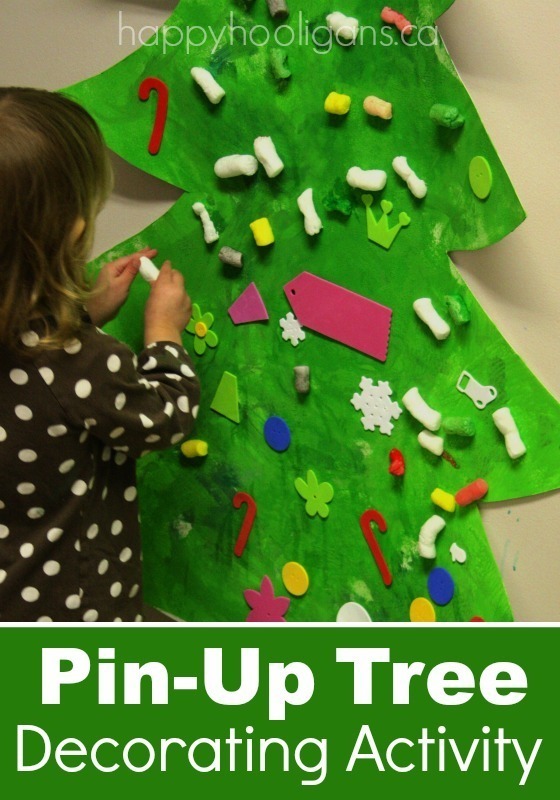 If you have toddlers and preschoolers who love decorating the Christmas tree, this Pin-Up Christmas Tree Decorating Activity is a great way to let them do that without them rearranging your real Christmas tree. It’s a great Christmas party activity for preschoolers and toddlers, and a wonderful December activity for the daycare or preschool classroom. 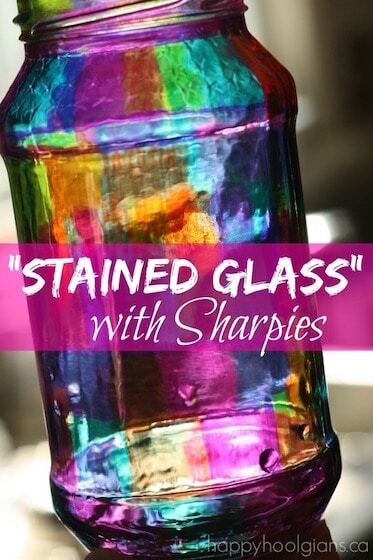 It’s easy, inexpensive, and will keep young children entertained for ages! One of the most exciting things about Christmas time for my kids and me is decorating the Christmas tree. The boys leave me to string it with lights and get those working, and then they joined me and we hang all the ornaments on the tree together. Because it’s a family tradition, we always save decorating the tree for a weekend, which means my daycare kids never get to take part. Last year, I thought it would be fun if the hooligans could decorate a tree of their own in my daycare. Rather than setting up a real Christmas tree for them, I came up with this pin-up Christmas tree idea. It’s similar to this felt Christmas tree idea, but you can make it yourself without spending a dime. 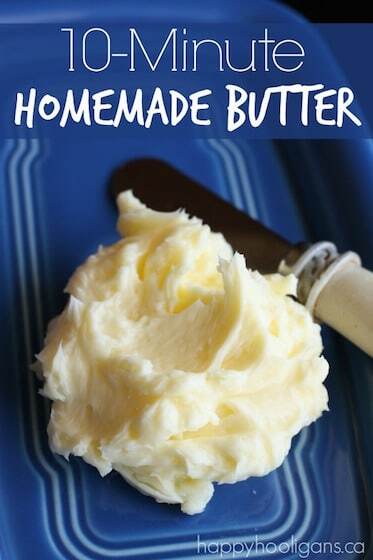 Similar to our pin-up birthday cake decorating activity, this activity was a huge hit with the kids, keeping them busy for a couple of hours one morning. Our pin-up tree is easy to make and perfect as a Christmas activity at daycare or preschool or a fun activity at a kids’ Christmas party with friends and neighbours. We started with a large piece of thin white cardboard. 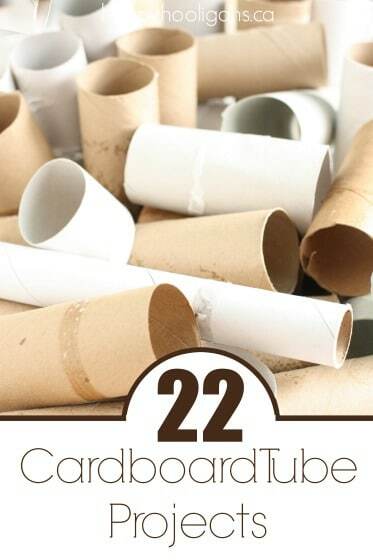 I get this cardboard from a friend who works for a packaging company. She brings me the scrap cardboard they’d normally throw in the recycling bin. I quickly sketched a large tree on the cardboard, and cut it out. Don’t worry about being exact when you sketch your tree. The kids aren’t going to mind if it’s not perfect. And hey, what real Christmas tree is ever perfect anyway? 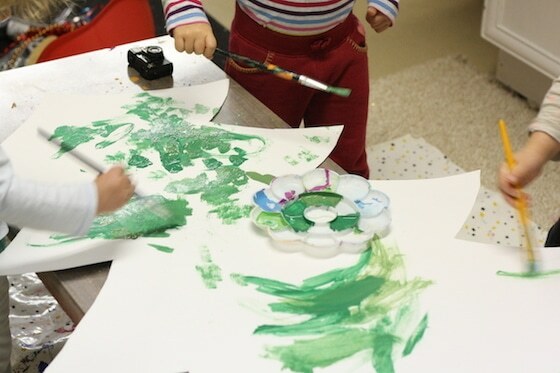 Then we lay our tree on the craf table and the kids painted it with various shades of green acrylic craft paint. I would mention that we started this task with paint brushes, but it wasn’t long before we realized that small paint rollers would make the job faster and easier. 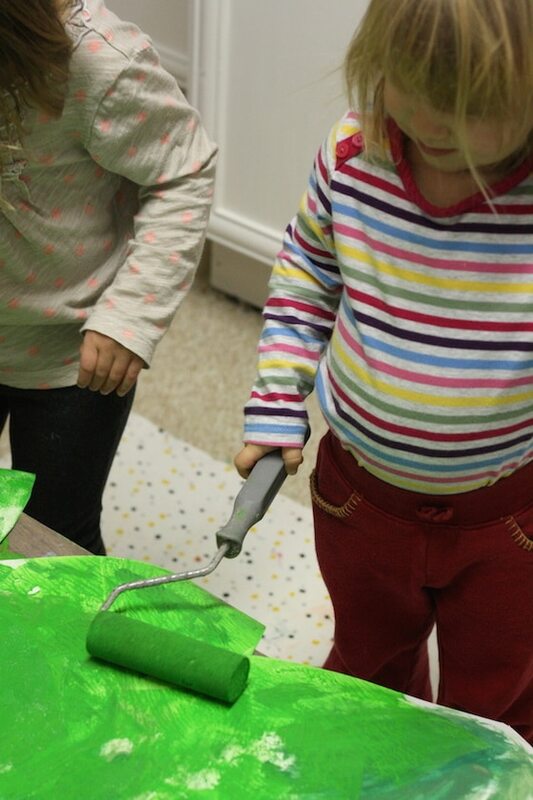 The children LOVED using the paint rollers, and in no time, the cardboard was looking very much like a real Christmas tree. To dry our tree quickly, so we could get started with the decorating, I gave it a blast with the hair dryer. In a few minutes, it was ready to be displayed and decorated. I tacked our cardboard Christmas tree to the wall just outside of the playroom, and I set out a bunch of goodies for the kids to decorate with. What did we decorate our cardboard Christmas tree with? 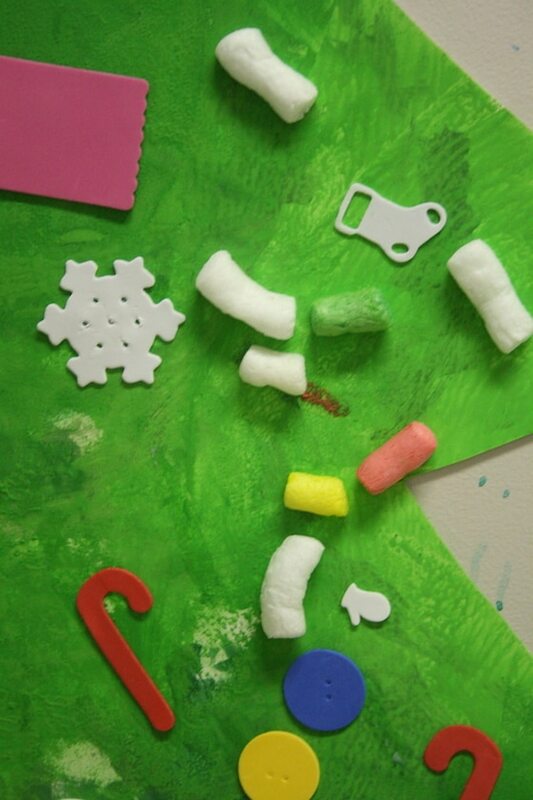 The kids used all kinds of craft foam stickers (no glue required) and Magic Nuudles for this tree decorating activity. If you’ve never heard of Magic Nuudles, let me tell you about them. They’re really cool. Magic Nuudles are safe and biodegradable craft noodles made from cornstarch. When you press a Nuudle against a wet sponge, it becomes sticky, and it will adhere to paper, cardboard or another Magic nuudle. You can build the coolest structures with them. Sometimes I cut them into small discs to use for smaller projects, but they were perfect, full-size for decorating our big tree. The hooligans prefer to lick the Nuudles to make them stick, so we skipped the wet sponge altogether. 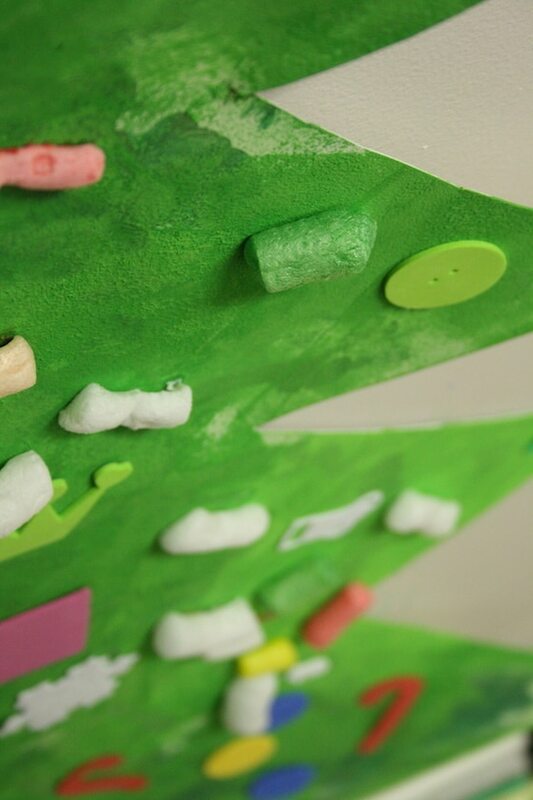 And because we used foam stickers and the Magic Nuudles, there was no need for glue, making this part of the activity virtually mess-free. 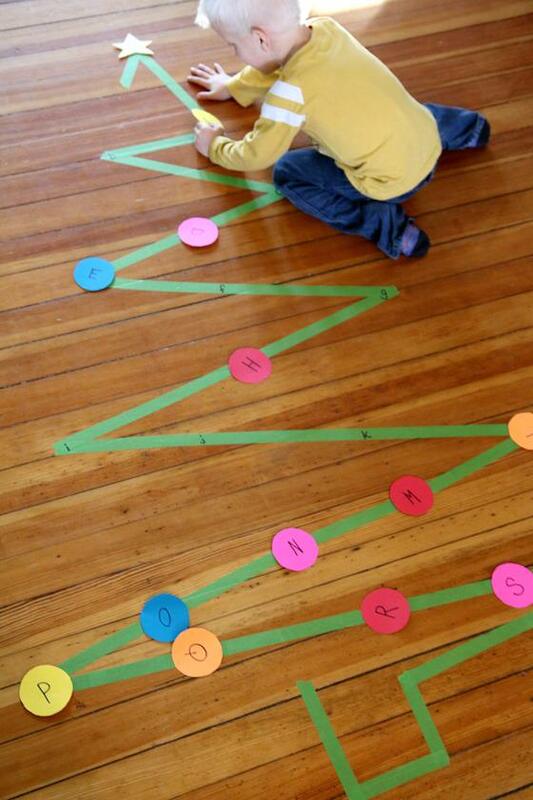 This simple Christmas tree decorating activity kept the kids busy and having fun for the better part of the morning. 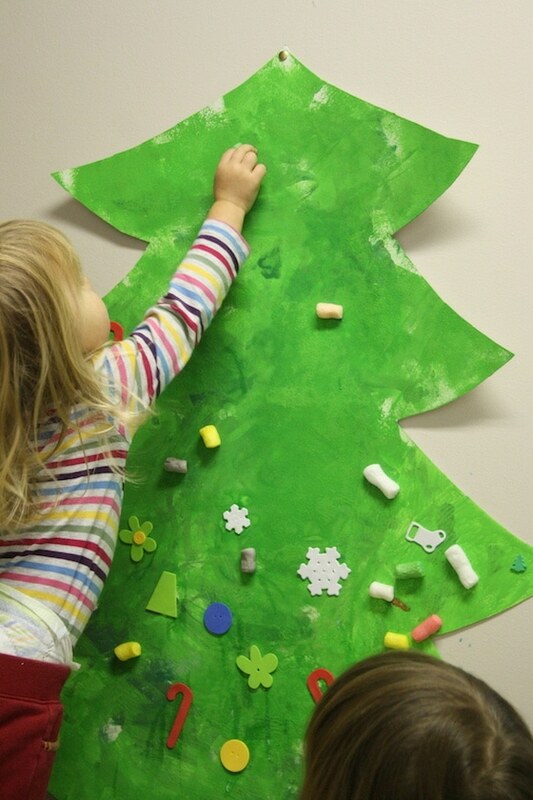 And when they finished, we had a beautiful, hand-decorated pin-up Christmas Tree to display on our playroom wall. 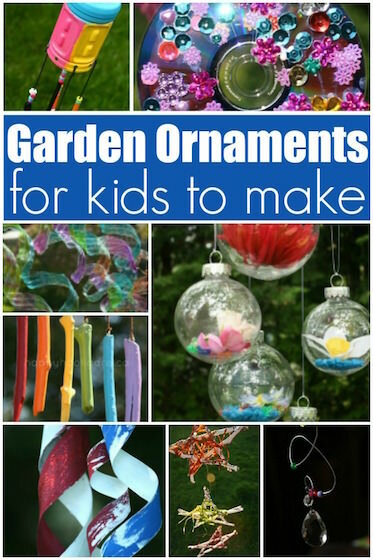 Looking for another unique tree decorating activity for toddlers and preschoolers? 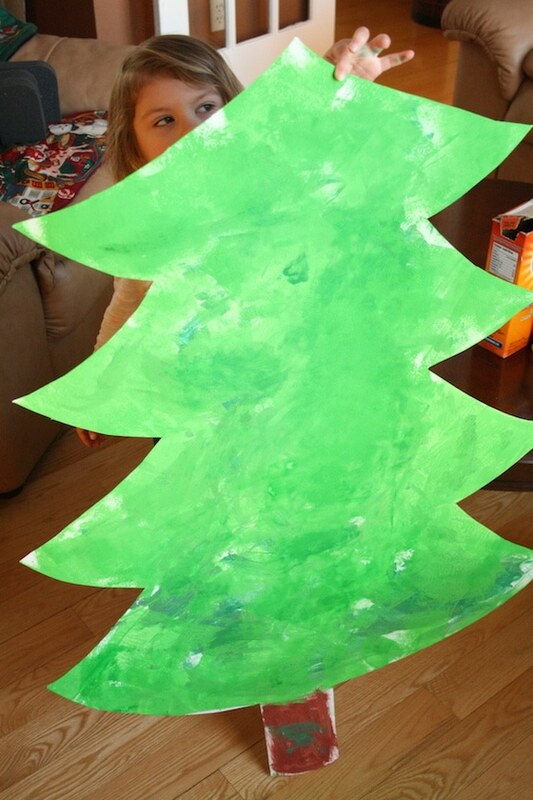 Check out the giant Christmas tree they make with painter’s tape over at Hands On: As We Grow! 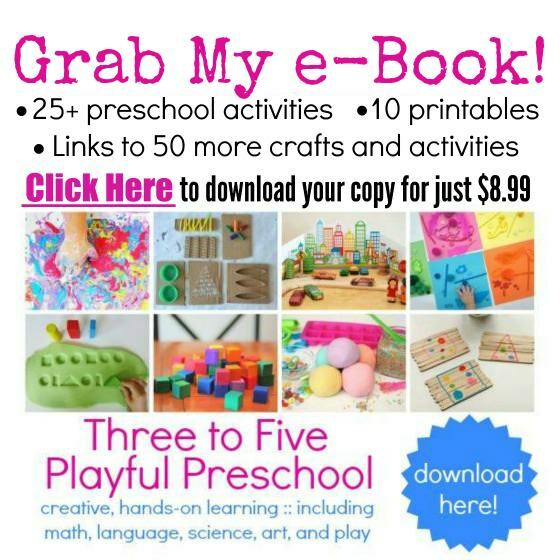 This is perfect for my class of 2yr olds. 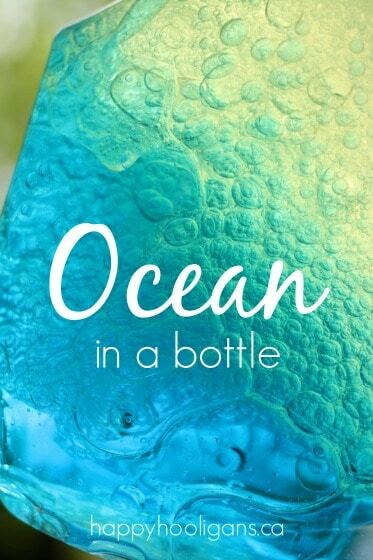 Thank for sharing this fun, yet simple idea!